Rep. Mark Ellebracht, a Democrat, represents parts of Clay County, including parts of Liberty, Pleasant Valley, Kansas City, and Claycomo (District 17) in the Missouri House of Representatives. He was elected to his first two-year term in November 2016. In addition to his legislative duties, Rep. Ellebracht is an attorney. He previously served one tour as a non-commissioned officer in the United States Army (1999-2003). He also has worked as a cement mason. Rep. Ellebracht is an Eagle Scout, and a graduate of Liberty Senior High School. He earned a B.A. from William Jewell College, and obtained his J.D. from the University of Missouri School of Law. 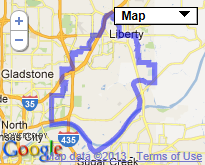 Rep. Ellebracht currently resides in Liberty.